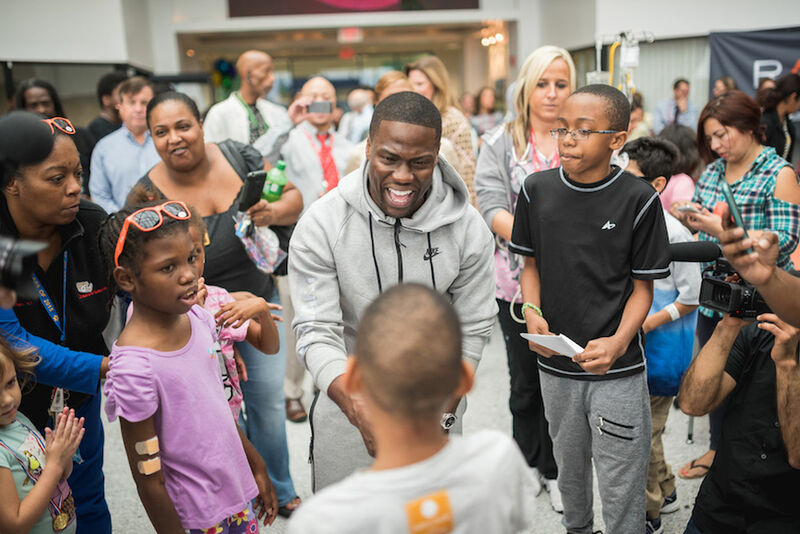 Early on Friday morning, Kevin Hart did an impromptu 5K run around the Georgetown Waterfront Park with about 1500 friends and fans. But that was just a warm up, it turns out. 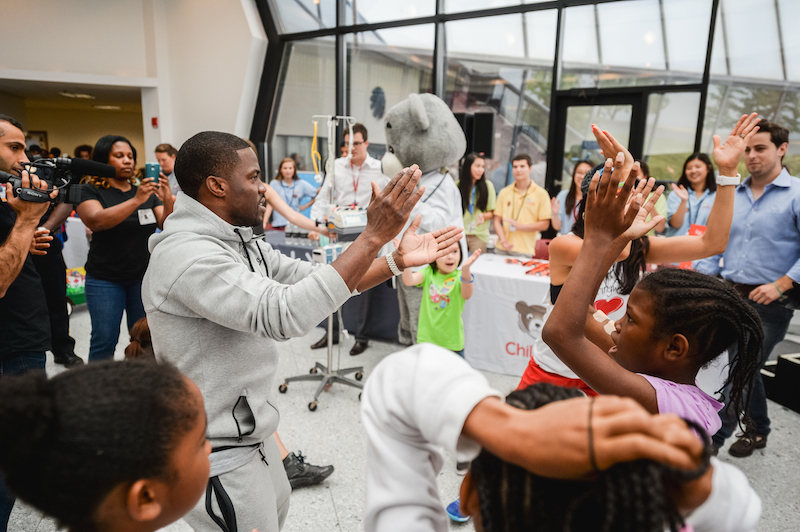 A few hours later, he was at Children's National Health System in Washington, DC to announce that he and Rally HealthSM are funding a mobile medical and dental program for children in underserved areas. 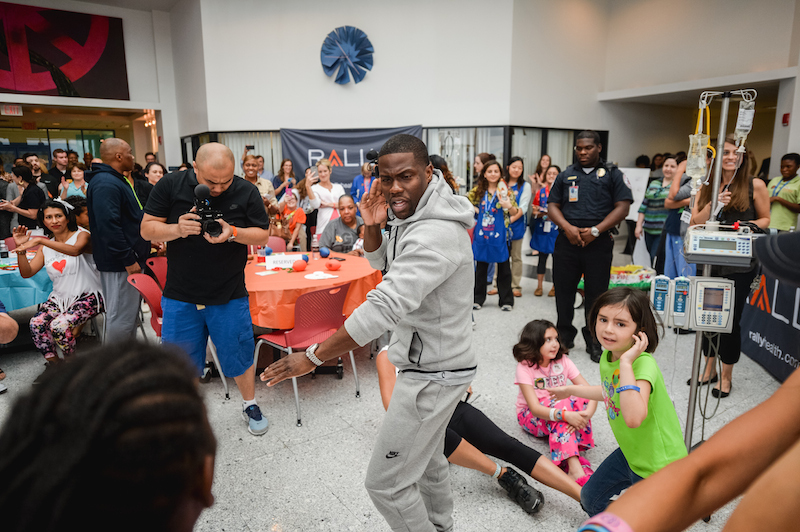 Hart has been on a mission to make being healthy cool, which is why he's partnered with RallySM to be its first Health Ambassador. 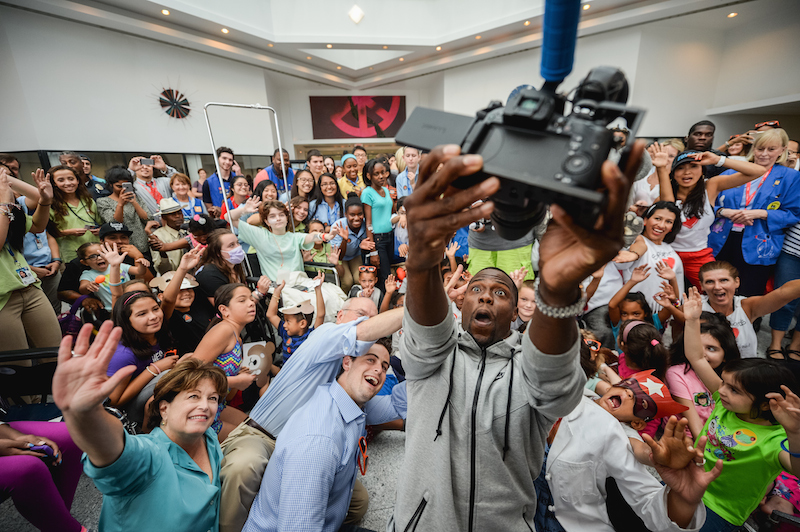 The grownups were thrilled with donation, but the kids were more interested in hanging out with Hart, who did a little Zumba, demonstrated how to strike a pose, and made sure everyone got in on a giant selfie. Check out the photos below, and be prepared to say "Awwwwww."